One of my favourite Christmas presents this year was the book 'Patchwork City' by Elizabeth Hartman. It is marketed as 'a bonanza of 75 innovative blocks for the modern quilter', and it really is that! 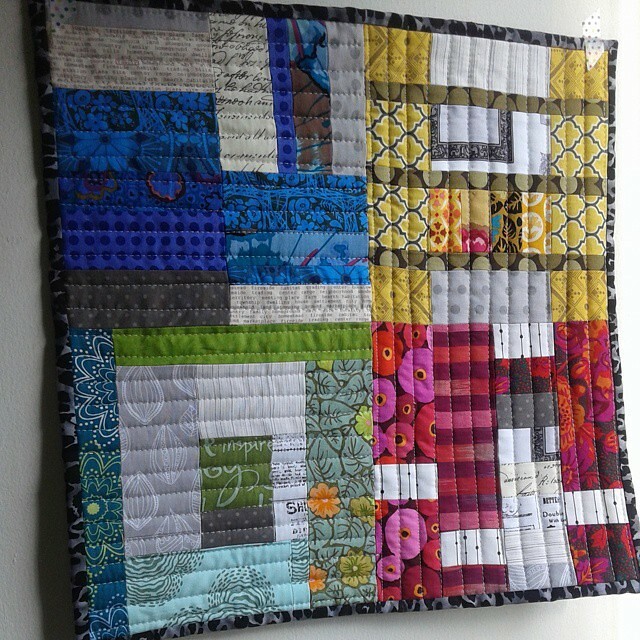 75 non-traditional quilting blocks, all made in fun, modern fabrics, along with 6 ideas of how to put them together into quilts. What appealed to me the most was that although the blocks are well planned, and the instructions for making them are really clear and precise, the finished look is one of improvised piecing - my favourite! I decided to go ahead and make four of the simplest blocks for my Schnitzel and Boo mini quilt swap. I chose one main colour for each block and they were so easy to piece (it took me longer to choose which fabrics to use, all from my scraps of course!). And for those of you who are interested, my new Juki whipped up the straight line quilting without any trouble - yay! I got this for Christmas too! I haven't made any of the blocks yet but I'm looking forward to joining in on the qal. I've been thinking of this book and if I want it. Your mini is making me lean into the "want it" category! Haven't come across this book, but I have 2 of Elizabeth's books and they are both excellently written, it looks like this one is too. Lovely mini, the time taken over your fabric selection was absolutely worth it! So pretty! And hurray! New machine! Beautiful mini! I love how the colors in each block come together. Congratulations on your new machine. What a fantastic mini!!!! I love Elizabeth's book, too! Glad you're happy with your new Juki...it's so exciting to have a new machine! I got this for Christmas too but have only thumbed through it not used it yet - this looks great, really like the fabrics in the yellow section! Fabulous blocks! What a great idea. It's great to see you having fun with your machine. Your mini qut is really fun. I love the colours you have chosen. It is very modern looking. I'm happy to see people 'sewing their library', I have to start doing the same. Deborah, I LOVE this!! 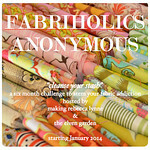 I want to start making something from this book too, and a mini is such a great way to dive in! The mini turned out so pretty! 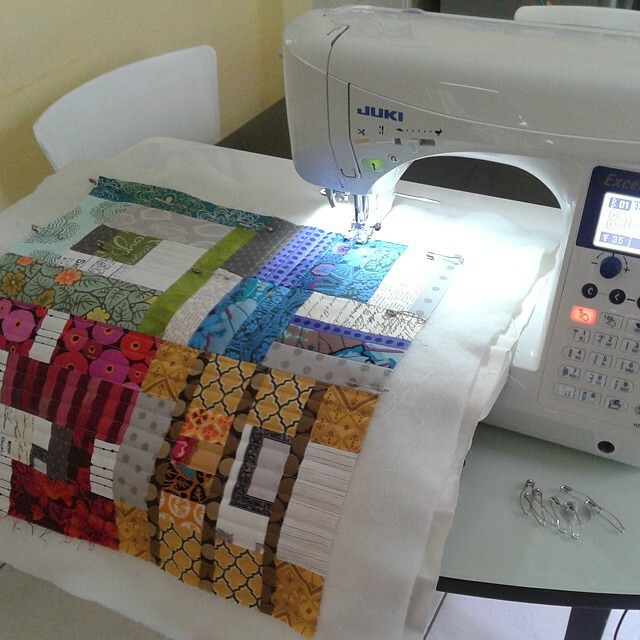 That would be fun to see your quilt develop if you do the qal. Very nice, I really like your fabric and color choices. How cool! I seen it on IG and it does look great! Well done! Beautiful mini the dense quilting looks fantastic. Congratulations on your new Juki. I got one for Christmas (the TL2010) and it is so awesome. Yours looks very fancy :) Happy sewing. I can appreciate improv piecing ... but I just can't do it lol ... looks like you are getting on well with your Juki :) Your mini turned out fabulous!! Cute mini! 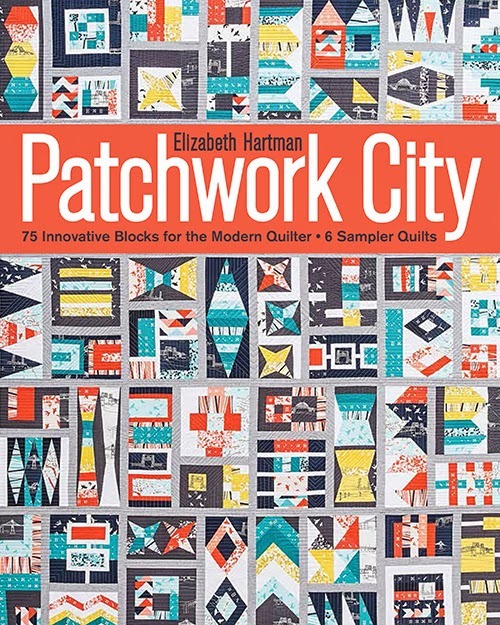 This book was my Christmas present to myself, and I'm looking forward to making lots of blocks from it, and also to taking a Patchwork City class with Elizabeth Hartman this summer! Beautiful mini,and lucky partner! That book is on my list.